We hope you can join us on our first easy going ride of the year on Saturday 1 March 2014 when we will be looking at the architecture of railway stations. For this we are revisiting a ride we did in 2007, when the reinvention of St Pancras Station was the spur to explore London's spectacular array of grand railway architecture. Now, with Kings Cross awakened from its long grimy slumber, new stations at Farringdon and Blackfriars, and restorations complete or in progress at several other stations, it's time to look again at how these, some of the most aggressively modern structures of the 19th century, are being re-interpreted by the architects and engineers of the 21st century. 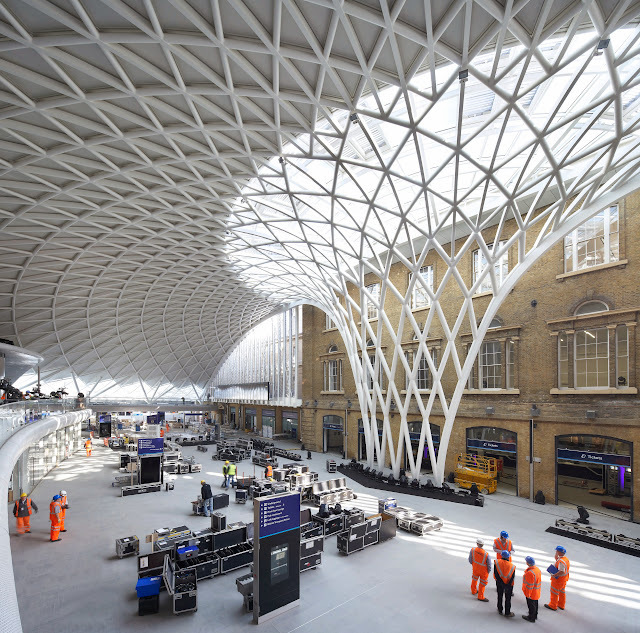 Railway stations were an entirely new form of building, celebrating entirely new technology. But where does engineering end and architecture begin? Should stations hide or flaunt their function? Do we want them to remind us of cathedrals or shopping malls? What's transverse ridge and furrow glazing? And why are there so many big stations in London? Help us to answer these and other questions as we explore the drama, history and swagger of London's great railway stations. Meet Waterloo Millennium Green, on the corner of Baylis Road and Waterloo Road, SE1 across the road from the Old Vic, 10.15am for a 10.30 start. Easy-paced ride, pub lunch, finishing about 4.30 in Blackfriars. In the run up to the 2014 Lambeth Council elections we will once again be holding a sustainable transport hustings meeting, provisionally scheduled for 30 April 2014, at which we as cyclists will be able to question the parties and find out what plans they have for cycling in Lambeth as well as questions of broader sustainable transport. 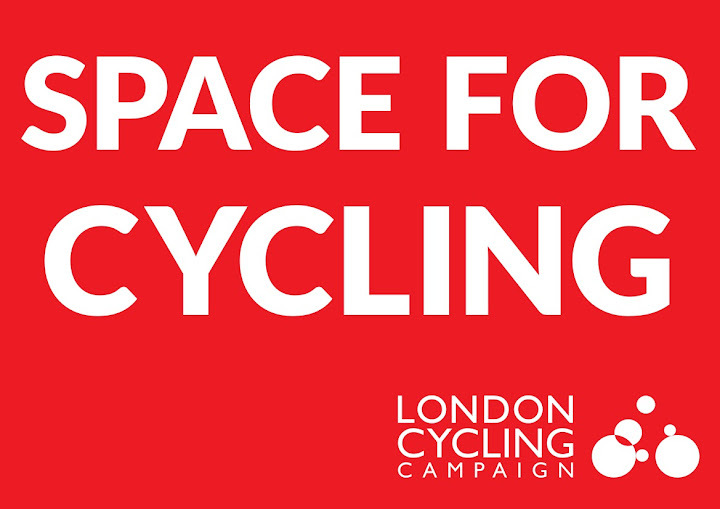 Cycling is supported by all the main political parties in Lambeth but there are differences of opinion in how far the council should go in encouraging cycling. It is useful to find out exactly where each party stands. The hustings event provides us with an excellent opportunity to raise cycling and transport issues and build alliances in all of the political parties. These set the scene and bring long-term benefits– current council leader Lib Peck for example came along as Labour Environment spokesperson to our hustings before the 2006 elections. 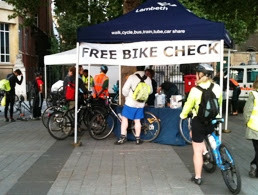 Lambeth Council's Sustainable Transport team will be running a Dr Bike session this Wednesday, 12 February 2014, 4:30-7pm at the Waterloo Roundabout, SE1: at King's College, outside James Clerk Maxwell building, SE1 8WA Come and get your bike checked for free. Thank you to everyone who is working hard on your ward asks, I really have been blown away by some of the stuff you’ve been doing; creating maps, documents, organising meetings, creating spreadsheets – it’s all fantastic, and is going to give us a great start to the campaign! I’m going to send round some final guidance early next week with an updated Ask template sheet to fill in and a few final details just so everyone is clear on what they need to send in by the 28th February. Don’t forget you can use the google fusion table of survey results to view the locations people identified in the survey in your borough. If you hover over the red dot, a comment and other info will appear.